Take a look at these celebrities with beautiful ink. There is a saying that there is a story behind every tattoo and these stars have many stories to share. On this feature we put a spotlight on the sexiness that is Lamiez Holworthy, Bonang Matheba, Nadia Nakai as well as Sammy Sosa. Media personality Bonang Matheba exudes a graceful poise everywhere she goes, It’s evident that her personality is aligned with her unique tattoos that she shows off on a daily. Her style statements have inspired numerous women and her famous ink complements her glam doll image. Lamiez Holworthy is a fashionable stunner who is rumored to be dating Khuli Chana. The beaut never disappoints when it comes to her inimitable dress sense which goes very well with her tatted hot body. Lamiez is a successful club DJ and if she isn’t rocking the masses throughout the country then you will find her co-hosting SABC 1’s hit music show Live Amp alongside DJ Speedsta. Nadia Nakai is arguably the hottest female rapper in South Africa at the moment as the Money Calling hit-maker recently rocked the stage at the Cotton Fest event this past weekend in Newtown. We love the work of art that she has on her arm and we can’t wait to see what the whole sleeve will look like once it’s completed. 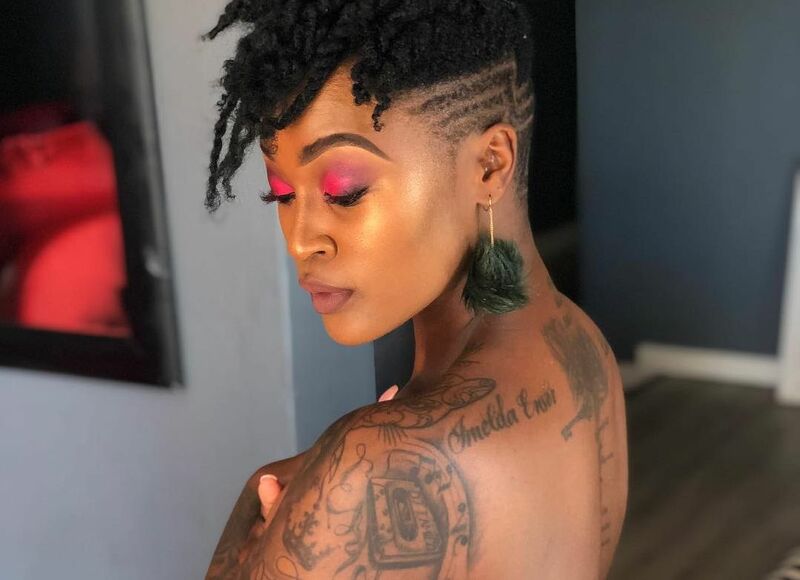 TV and radio host Sam Lehoko who is better known as Sammy Sosa is popular for flaunting the coolest patterns of tattoos all over her body. Her addiction is a work of art and they’re chic enough to show off her punk image. Are you feeling these celebrity tattoos?